Written after 'The Soul of Being' (1998), this further step in John O'Loughlin's philosophical or, as he now prefers to think of it, superphilosophical (theosophical?) 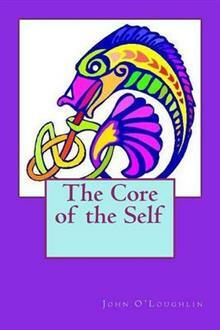 journey brings us, via twenty-three headed sections numbered afresh in each case, to 'The Core of the Self', the... read full description below. Written after 'The Soul of Being' (1998), this further step in John O'Loughlin's philosophical or, as he now prefers to think of it, superphilosophical (theosophical?) journey brings us, via twenty-three headed sections numbered afresh in each case, to 'The Core of the Self', the holy grail of self-fulfilment which lies at journey's end as its heavenly reward. Although principally concerned, like the previous book, with the Self, this work does more justice to the totality of the Self, including for virtually the first time the id, which it analyses both in relation to the self as a whole and to modern society, with particular reference to the West. The id, however, isn't the holy grail of self-fulfilment for Mr O'Loughlin but, rather, the antithesis of the soul which needs to be guarded against and, if possible, transcended in favour of that path which truly leads to 'The Core of the Self'. Let the reader judge for himself as to the success of his journey and the sincerity of his conclusions!